The National Democratic Congress (NDC), Ghana's biggest opposition party, may have lost the presidential election to the New Patriotic Party (NPP), but the party emerged stronger than had been forecast. Despite visible signs of cracks in the party hierarchy and isolated incidents that gave it a bad name in the run up to the elections, it turned out to be the surprise package of the 2004 elections. Not only did the NDC maintain control over its strongholds of Northern, Volta and the Upper West and East Regions, it also impressively made forays into the heartland of the New Patriotic Party (NPP), especially in the Ashanti Region, where it won three seats- - Ejura-Sekyere Odumasi, Asawasi and New Edubiase. NDC also fought bravely, winning back Odododiodio, Ashaiman and La Dadekotopon and some new constituency seats in Accra. It had been predicted that the NPP would make a clean sweep of the Brong Ahafo Region. That prediction failed, as the NDC snatched some seats it lost to the NPP in 2000. NDC's prediction that it would win 30 percent of the popular vote in the Ashanti Region was no illusion. In fact nobody gave Prof. Atta Mills a dog's chance against President Kufuor in the Ashanti Region for instance. As it turned out, the NPP's campaign managers will be the first to admit that they had a run for their money. President Kufour obtained 4,463,731 million (52.75%) against Mills' 3,750,830 million (44.32). Though all President Kufuor needed to win was 50 percent of the total valid votes plus one vote, the results were too close to call and must have raised the blood pressures of some NPP supporters as Ghanaians waited for the Electoral Commission to announce the final results. Dan Botwe, NPP's General Secretary admitted on Peace FM that the results did not quite go the way they anticipated, saying the campaign team would have to go into action immediately for the 2008 elections. One fact that has come to light is that the popularity of both parties in their strongholds has not changed significantly. Apart from the Central Region, where the people voted on issues and not personalities, in the other regions people still voted on entrenched party lines. This makes the 2008 elections anybody's game because the incumbent President Kufuor will not be contesting. 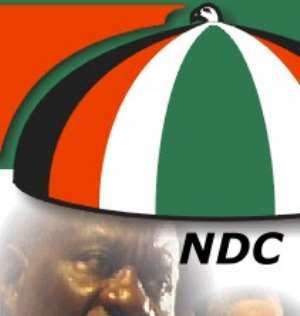 A united NDC could be a headache to the ruling NPP. But will the NDC be able to put its house in order? Will Professor Mills have the guts to contest the 2008 elections as NDC's presidential candidate for the unprecedented third time? While it is still too early to predict, the answer to this question may depend on who one talks to. In politics nothing can be ruled out.